SIMPLE MINDS-NEW GOLD DREAM (81-82-83-84) DELUXE EDITION. Simple Minds weren’t an overnight success. Very few bands are. It took five years and five albums before commercial success and critical acclaim came Simple Minds’ way. 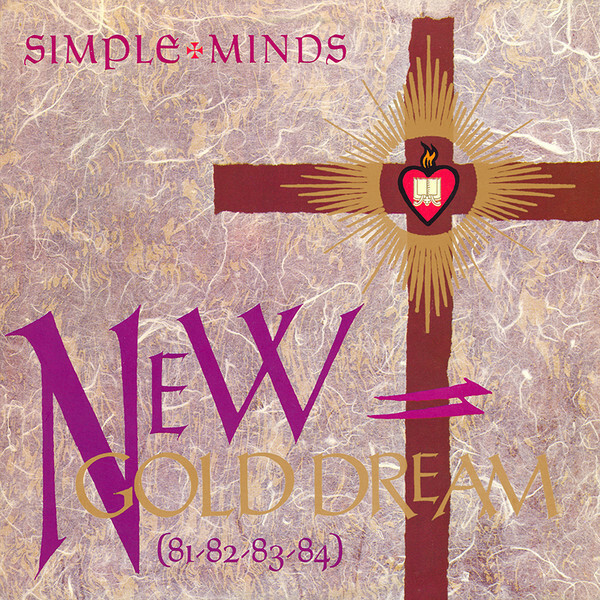 The album that transformed Simple Minds’ career was New Gold Dream (81–82–83–84). Suddenly, Simple Minds were one of the most successful bands in Britain, and for the first time, were making inroads into Europe and North America. New Gold Dream (81–82–83–84) which was recently released by Universal as a two disc Deluxe Edition, was a game-changer for Simple Minds in more ways than one. 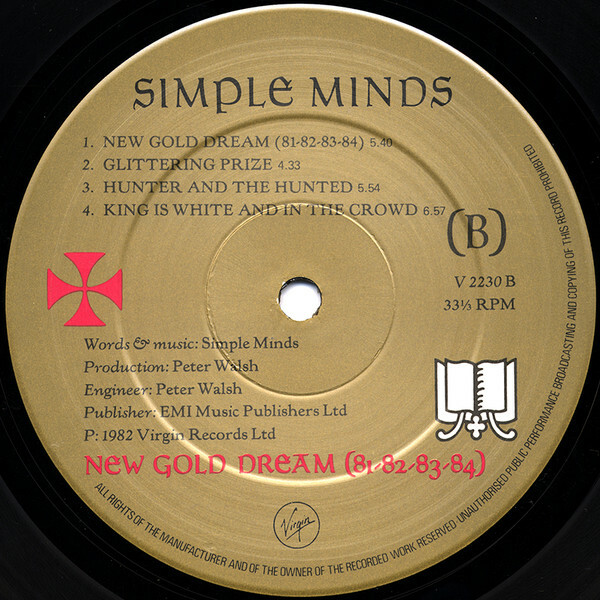 New Gold Dream (81–82–83–84) was the start of the rise and rise of Simple Minds. It was also the start of Simple Minds stadium rock era. This part of the Simple Minds story began in April 1982. However, Simple Minds were born in the South Side of Glasgow in 1977. Simple Minds roots can be traced to the short-lived punk band Johnny and The Self-Abusers. They were formed in early 1977, and made their live debut on 11th April, which was Easter Monday. That was the first time the sextet took to the stage. Their lineup that day, included friends Jim Kerr and Charlie Burchill, plus drummer Brian McGee and bassist Tony Donald . They would later become founder members of Simple Minds. Two weeks after their debut, Johnny and The Self-Abusers opened for Generation X in Edinburgh. This was the start of a summer where the nascent band spent playing live in Glasgow. Before long, the band had split into two factions. Founders Alan Cairnduff and John Milarky were in one faction, while the other featured Jim Kerr, Charlie Burchill,Brian McGee and Tony Donald. Despite being a band divided, Johnny and The Self-Abusers decided to record their debut single. This was Saints and Sinners, which was released on Chiswick Record in November 1977. On the release date, Johnny and The Self-Abusers announced that they had split-up. Not long after this, Simple Minds were born. The founding founding members of Simple Minds were Jim Kerr, Charlie Burchill, Brian McGee and Tony Donald. Jim Kerr who had been Johnny and The Self-Abusers keyboardist, packed his keyboards away, and became Simple Minds vocalist, and sometimes violinist. The rhythm section featured drummer Brian McGee, bassist Tony Donald and guitarist Charlie Burchill. Then in January 1978, Duncan Barnwell was drafted in to play second guitar. Not long after this, Barra born keyboardist Mick MacNeil joined the band. This was the original lineup of Simple Minds. They were soon making waves in their home city. Quickly, Simple Minds established a reputation was one of Glasgow’s best up-and-coming bands. Constantly playing live allowed Simple Minds to hone their sound. However, in April 1978, there was a change to the lineup when Tony Donald left the band. This was a blow, as the band were about to record a demo tape. A replacement was soon found in Derek Forbes, who had been The Subs’ bassist. However, this wasn’t the end of the changes in Simple Minds’ lineup. Later in 1978, second guitarist Duncan Barnwell was invited to leave the band. Now Simple Mind were a quintet, and that was how they would remain. By then, the Jim Kerr and Charlie Burchill songwriting partnership had taken shape, and Simple Minds had a manager. Give Simple Minds were rising stars of the Glasgow music scene, it was inevitable that they would come to the attention of Bruce Findlay. He was one of the leading lights of the Glasgow music scene. Not only did he own the Bruce’s Records’ chain, but the Zoom Records’ label, which was a subsidiary of Arista Records. Bruce Findlay had heard good things about Simple Minds, and approached them about managing the group. At first, this was on a part-time basis. However, his would later change. Before that, Simple Minds began work on their debut album, Life In A Day. It featured ten songs written by the Jim Kerr and Charlie Burchill songwriting partnership. Then the five members of Simple Minds headed south. By then, Simple Minds’ lineup was settled. Vocalist Jim Kerr and keyboardist Mick MacNeil were joined by a rhythm section featuring drummer Brian McGee, bassist Derek Forbes and guitarist Charlie Burchill. They began recording Life In A Day December 1978. Three separate studios were used, including the Rolling Stones Mobile Studio. Further sessions took place at Abbey Road Studios and the Townhouse Studios, in London. Producing these sessions, which became Life In A Day, was John Leckie. He spent the best part of two months recording Simple Minds’ debut album. After nearly two months, Life In A Day was completed in January 1979. It would be released three months later. Having recorded their debut album, Zoom Records sent copies of Life In A Day to critics. The reviews were mixed, ranging from favourable to positive. Two tracks came in for praise, Murder Story and Simple Minds’ tribute to Nico, Chelsea Girl. However, some critics remarked upon the noticeable early seventies influence, This gave the album a slightly dated sound. Other critics praised Jim Kerr’s vocals, while some praised some of the arrangements on Life In A Day. Despite this, there was no consensus. It was left to record buyers to have the final say. Life In A Day was released on 1st April 1979, and reached just number thirty in the UK charts. For a debut album, it was regarded as a success. Then when Life In A Day was released as a single on 15th May 1979, it stalled at a disappointing sixty-two on the UK. 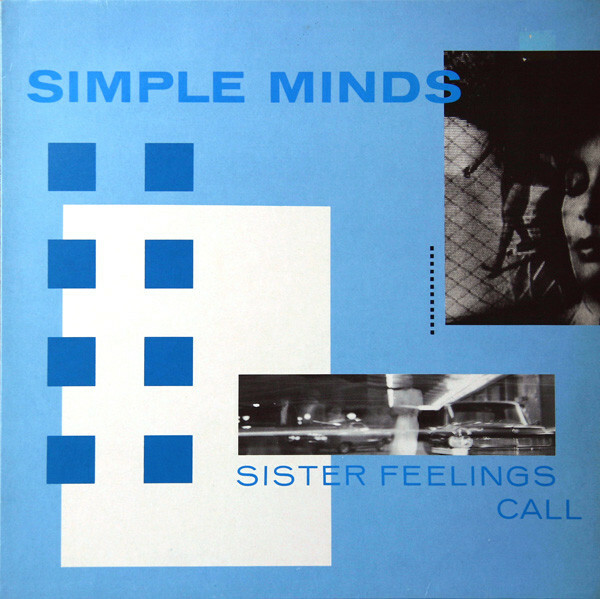 For Simple Minds’ sophomore single, Chelsea Girl was chosen, but failed to chart. This was a disappointment for Simple Minds. Overall, they could be satisfied with the progress that they had made so far. Just seven months after the release of Life In A Day, Simple Minds returned with their sophomore album Real To Real Cacophony. This was a much more collaborative album, with Jim Kerr writing the lyrics and the music for the twelve tracks being written by the band. However, what didn’t change, was John Leckie producing Real To Real Cacophony. Recording of Real To Real Cacophony took place at Rockfield Studios, in Monmouth, Wales during September 1979. This had previously, been the scene of numerous musical triumphs. Classic albums and number ones had been recorded at Rockfield Studios. Maybe, Simple Minds were hoping that they would be inspired by the surroundings? Once Real To Real Cacophony was complete, Zoom Records had scheduled a release date for November 1979. This didn’t leave much time to promote the album. In the midst of releasing Real To Real Cacophony, critics had their say on Simple Minds’ sophomore album. Again, the reviews were mixed. Some of the views were favourable, while others were mixed. At least Real To Real Cacophony was well received by some of the critics. They realised that although the music on Real To Real Cacophony was still being influenced by the music the band grew up listening to, this time, they used this merely as a starting point. That music was reshaped and transformed into something totally different. Simple Minds were sonic sculptors. One example was the influence of Kraftwerk’s Radio Activity on Real To Real, which was one of the highlights of Real To Real Cacophony. It was released in November 1979. When Real To Real Cacophony was released in November 1979, the album failed to chart. Neither did the single Changeling. For Simple Minds this was a huge blow. It would be nearly a year before Simple Minds returned with their third album, Empires and Dance. Despite the disappointment of Real To Real Cacophony, Bruce Findlay became Simple Minds’ full-time manager. His job was steering the band through the toughest time of their career. 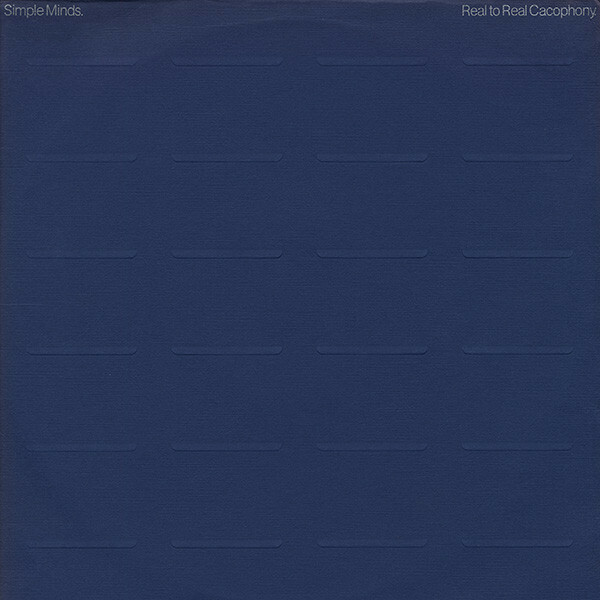 Following the commercial failure of Real To Real Cacophony, Simple Minds began work on what would become Empires and Dance. Again, Jim Kerr wrote the lyrics, while the band wrote the music to the ten tracks. They were recorded in Wales, using the Rolling Stones Mobile Studio. In Wales, John Leckie was in charge of production on Empires and Dance. This was the third album he had produced for Simple Minds. It would also be his swan-song. Once Empires and Dance was complete, the release date was scheduled for 12th September 1980. Before that, critics received their advance copies. They dissevered that Empires and Dance was a genre-melting album. Elements of new wave, post punk, dance, electronica and rock melted into one. This one bullish critic later called “a post punk dance classic.” In contrast, NME called Empires and Dance “a weird, agitating record.” Mostly, though, the album was reasonably well received. One track stood out from the crowd, the album opener, I Travel. It should’ve transformed Simple Minds’ fortunes. On 12th September 1980, Empires and Dance was released. It didn’t sell well, and stalled at just forty-one on the UK charts. That was an improvement on Real To Real Cacophony. Elsewhere, Empires and Dance reached number forty-seven in New Zealand. That was a small crumb of comfort. Especially when the lead single I Follow failed to chart. This was a huge blow, as it was the strongest track on the album. History repeated itself when Celebrate was released as a single, but failed to chart. This was strange, given the song’s popularity among Simple Minds’ fan-base. While this was another disappointment, Simple Minds were soon going up in the world. Sons and Fascination and Sister Feelings Call. After Empires and Dance, Simple Minds left Arista Records and signed to Virgin Records. Some industry watchers saw this as a gamble on the part of Virgin Records. After all, Simple Minds’ three albums hadn’t sold well. Life In A Day reached just number thirty in the UK album charts; Real To Real Cacophony never came close to troubling the charts and Empires and Dance stalled at just forty-one on the UK album charts. The three albums yielded very little when it came to singles. Life In A Day had given Simple Minds a minor hit single when it reached sixty-two in the UK singles charts. However, Virgin Records decided to take a chance on Simple Minds. They were determined to repay Virgin Records’ faith in them. So Simple Minds began work on not just one album, but two. Sons and Fascination and Sister Feelings Call would be recorded at the sessions, and released on the same date. This was unusual, and meant twice the amount of work for Simple Minds. Again, Jim Kerr penned the lyrics and Simple Minds wrote the music. Eight songs would feature on Sons and Fascination, while seven featured on Sister Feelings Call. When it came to recording Sons and Fascination and Sister Feelings Call, John Leckie had been replaced by Steve Hillage, of Genesis and Gong. 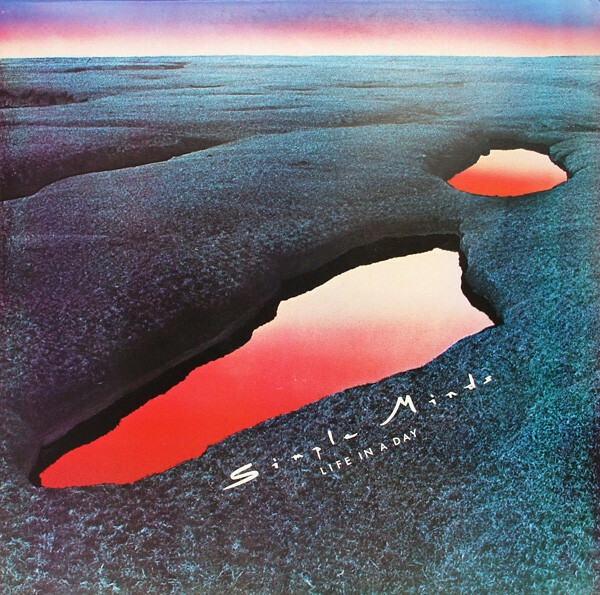 Steve Hillage had much in common with Simple Minds; especially a shared love Krautrock. Having bonded over their love of Krautrock, Steve Hillage got to work, and began to change Simple Minds’ sound. This included changing the position of the rhythm section. They were given a much more prominent place in the mix. The rhythm section was louder, driving and anchoring the arrangements along. Other instruments were panned across the arrangement. Sometimes, they were positioned in what seemed like an unlikely place for a guitar or vocal. Two examples are the positions of Jim Kerr’s vocal The American and Sweat In Bullet. Other times, instruments are placed so that they play their part in what’s an atmospheric backdrop. This was very different to John Leckie’s approach. However, the million Dollor question was would it result in a change of fortune for Simple Minds? When the reviews of Sons and Fascination and Sister Feelings Call were published this seemed debatable. Both albums divided the opinion of critics. What critics agreed, was that Simple Minds were moving more towards the mainstream. The song structures were much more conventional, and the songs more melodic. However, it seemed that Simple Minds still were unable to record a cohesive album. Reviews of Sons and Fascination ranged from mixed to favourable. Sister Feelings Call really divided the opinion of critics. Their reviews ranged from favourable to unfavourable. There was no middle ground. It seemed that Sister Feelings Call was Marmite music, critics either liked or loathed the album. Ironically, as is often the case, history was later rewritten and many critics have revised their opinion on both albums. The release of Sons and Fascination and Sister Feelings Call were scheduled for 12th of September 1981. Initially, Virgin Records decided to package the two albums as double album. In Britain, Sons and Fascination and Sister Feelings Call reached number eleven and were eventually certified gold. Elsewhere, Sons and Fascination and Sister Feelings Call reached number seven in Sweden and four in Switzerland. This was the first time a Simple Minds album had charted in these countries. It was a similar case in Australia, where Sons and Fascination and Sister Feelings Call reached thirty-one. Maybe, Simple Minds’ luck was changing? It certainly looked like it. In 1981, The American was chosen as the lead single from Sister Feelings Call, and reached fifty-nine in the UK. This was slightly disappointing, considering it was one of the album’s highlights. Love Song was then chosen as the lead single from Sons and Fascination, and reached forty-seven in the UK; seventeen in Australia; sixteen in Sweden and thirty-eight in Canada. Simple Minds had a minor hit on three continents. To build on the success of Love Song, Sweat Bullet was released as a single. It reached fifty-two in the UK; forty-seven in New Zealand and seventeen in Sweden. Simple Minds’ music was gradually reaching a wider audience. So a decision was made to rerelease one Simple Minds’ finest singles, I Travel. However, lightning struck twice, and the single failed to trouble the charts. This was disappointing. However, the events of 1982 would more than makeup for this. Following the release of Sons and Fascination and Sister Feelings Call, set out on tour. This time, drummer Brian McGee would be absent. He had left Simple Minds after recording Sons and Fascination and Sister Feelings Call. It was a decision that surely, would come back to haunt him. While a replacement was found, Kenny Hyslop became a part-time member of Simple Minds. He headed out on the first part of Simple Minds’ Sons and Fascination and Sister Feelings Call tour. He would also feature on one of songs on their next album New Gold Dream (81–82–83–84). Having returned from touring Sons and Fascination and Sister Feelings Call, Simple Minds were faced with the prospect of beginning work without a permanent drummer in place. However, ex-Skids’ drummer Kenny Hsylop was proving to be a useful and interesting addition to Simple Minds’ lineup. While the rest of Simple Minds were interested in Krautrock, Kenny Hsylop enjoyed funk, hip hop and dance music. His influence could be heard on Simple Minds next single, Promised You A Miracle. The five members of Simple Minds wrote Promised You A Miracle. Since then, allegations have been made the that inspiration for the riff came from an old funk track that had been played on the tour bus during the Sons and Fascination and Sister Feelings Call tour. That however, is just mere speculation. What isn’t in doubt, is that Promised You A Miracle was the first true pop song that Simple Minds wrote. Promised You A Miracle was recorded with producer Peter Walsh at Townhouse Studios. At the heart of the song’s success is the interplay between Kenny Hyslop’s thunderous electronic beats, Charlie Burchill’s guitar riff and the hook that comes courtesy of Mick MacNeil’s keyboards. Add to that, Jim Kerr’s swaggering vocal, and the result was a slice of perfect pop. It was a stepping stone from Simple Minds old new sound to the stadium rock years. When Simple Minds released the anthemic Promised You A Miracle it reached number eleven in the British charts. This was Simple Minds biggest British hit single. Soon, Promised You A Miracle took Europe by storm. In Belgium, Promised You A Miracle reached number thirty-one; seventeen in Sweden; twenty-four in the Netherlands and twenty-five in the Republic Of Ireland. Further afield, Promised You A Miracle reached number eleven in Australia; nine in New Zealand and sixty-five in the US Billboard Hot Dance Charts. This was the start of Simple Minds transformation from new wave pioneers, to stadium rock superstars. Having released what many critics felt was one of the finest song of their career so far, Simple Minds’ thoughts turned to their fifth album. However, a problem had arisen. Drummer Kenny Hyslop the band felt, wasn’t fitting in. What didn’t help, was his apparent suspicion of record companies. So Kenny Hyslop left Simple Minds in February 1982, five months after he joined on a temporary basis. In that short space of time, he had written his name in Simple Minds’ history. Now the search began for a successor. Given Simple Minds’ star was in the ascendancy, plenty of drummers were interested in the job. Finally, Simple Minds settled on former Café Jacques drummer Mike Ogletree. Moving from a progressive rock band like Café Jacques, to Simple Minds could’ve been a culture shock for lesser drummers than Mike Ogletree. However, he quickly fitted in. Having made his way to a converted barn in Perthshire, where Simple Minds were working on their next album Mike Ogletree got to work. By then, the four remanning members of Simple Minds had written eight new tracks. When they were combined with Promised You A Miracle, they became New Gold Dream (81–82–83–84). It was recorded in Perthshire and at Townhouse Studios, in London. Recording began in Perthshire, where Mike Ogletree laid down the drum parts to what became New Gold Dream (81–82–83–84). Simple Minds then moved to Townhouse Studios to join producer Peter Wallsh, and complete New Gold Dream (81–82–83–84). That was where Peter Walsh introduced Simple Minds to London born, session musician, Mel Gaynor. Peter Walsh assured Simple Minds that twenty-two year old Mel Gaynor was an experienced drummer. He had previously played with various artists and bands. So it was agreed that Mel Gaynor would sit in on the sessions, and learn the drum parts from Mike Ogletree, who would switch to percussion. With the decision made to bring onboard Mel Gaynor as drummer, now he had to learn how to replicate Mike Ogletree’s drum parts. This was easier said than done, as the two drummers had very different playing styles. Eventually, three different drummers were credited with playing on New Gold Dream (81-82-83-84). Mike Ogletree played drums on three tracks, Colours Fly and Catherine Wheel, Somebody Up There Likes You and New Gold Dream (81-82-83-84). Mel Gaynor featured on Someone Somewhere In Summertime, Big Sleep, New Gold Dream (81-82-83-84), Glittering Prize, Hunter and The Hunted and The King Is White and In The Crowd. The other drummer who featured on New Gold Dream (81-82-83-84), was Kenny Hyslop who played on Promised You A Miracle. These three drummers slotted into the rhythm section with bassist Derek Forbes and guitarist Charlie Burchill. Jim Kerr added the vocals on the eight tracks. Joining Simple Minds were a couple of guest artists. This included Herbie Hancock, who played keyboards on Hunter and The Hunted. Sharon Campbell added vocals on Colours Fly and Catherine Wheel and Glittering Prize. With these parts recorded, New Gold Dream (81-82-83-84). It would be released on 13 September 1982. Before that, Simple Minds headed back out on tour. The Sons and Fascination and Sister Feelings Call was a two-part tour. Simple Minds headed out on tour, having completed New Gold Dream (81-82-83-84). Their timing couldn’t have been better, as they had just enjoyed the biggest hit single of their career, Promised You A Miracle. However, the followup Glittering Prize, came close to replicating that success. Four months after the release of Promised You A Miracle, Glittering Prize was released as the followup in August 1982. It reached number sixteen in Britain; number four in Sweden; eleven in the Republic Of Ireland; nine in Australia and four in New Zealand. Word was spreading about Simple Minds’ new sound. This was just in time for the release of New Gold Dream (81–82–83–84). Before that, critics reviewed New Gold Dream (81–82–83–84). They lavished praise on what was, by far, the best album of Simple Minds career. It was the most cohesive and complete album of their five album career. Simple Minds combined their old new wave sound with synth pop, electronica, pop and rock. 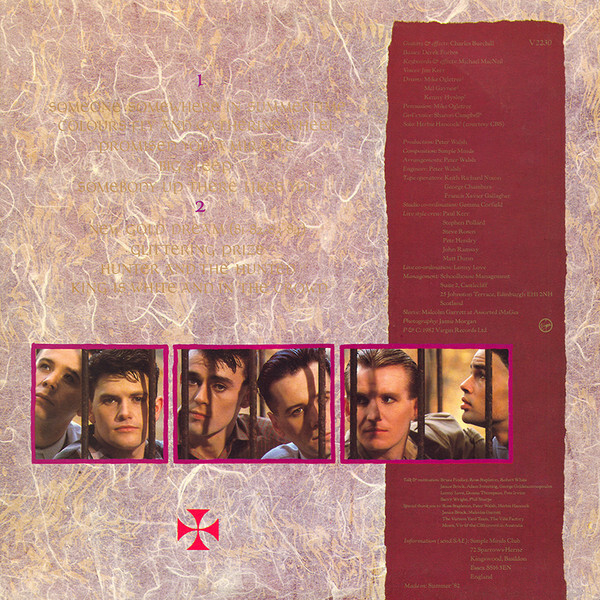 The result was a carefully crafted album where Simple Minds came of age musically. Among New Gold Dream (81–82–83–84)’s highlights, were the pure pop anthems Promised You A Miracle, Glittering Prize and Someone Somewhere In Summertime. They were hook-laden, stadium rockers that transformed Simple Minds from also rans to superstars. When New Gold Dream (81–82–83–84) was released on 13th September 1982, life was never going to be the same for Simple Minds. New Gold Dream (81–82–83–84) reached number three in Britain, and was certified platinum. Across the English Channel, France, New Gold Dream (81–82–83–84) reached thirty in France and was certified gold. Elsewhere, in Europe, New Gold Dream (81–82–83–84) reached thirty-one in the Netherlands and nine in Sweden. 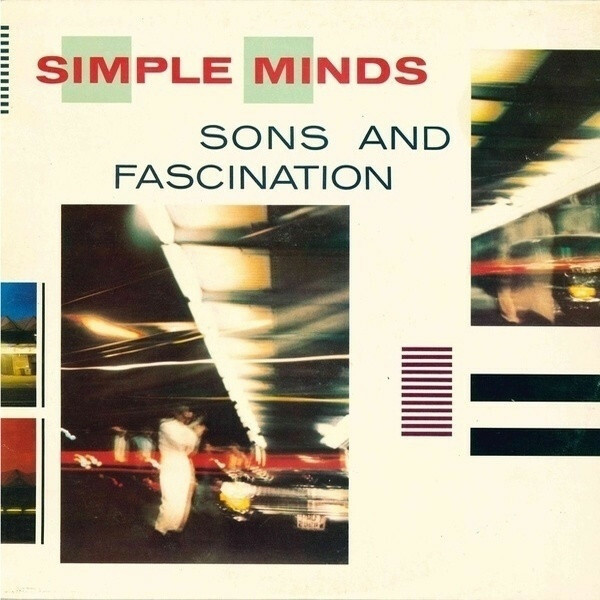 Further afield, Simple Mind’s popularity was growing. 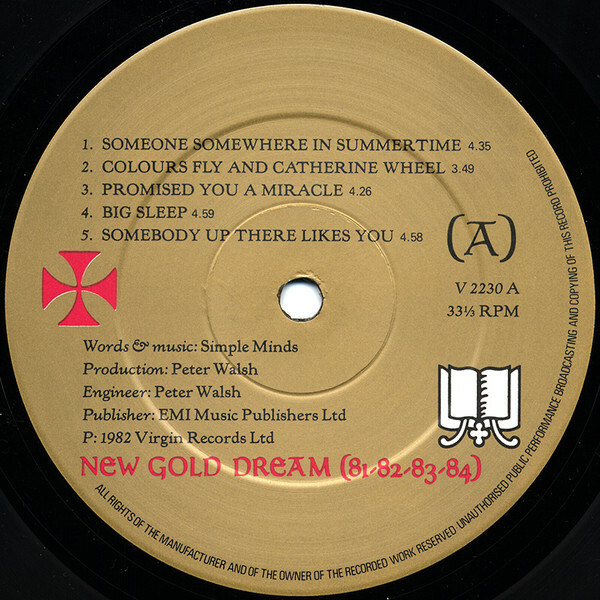 In Australia, New Gold Dream (81–82–83–84) reached number three, and in New Zealand number two. However, belatedly, Simple Minds made a breakthrough in North America with New Gold Dream (81–82–83–84). Not only did it reach sixty-five in the US Billboard 200, but was certified gold in Canada. For Jim Kerr, Charlie Burchill, Michael MacNeil and Derek Forbes, it was a New Gold Dream come true. The only disappointment was when one of Simple Minds’ most anthemic tracks, Someone Somewhere in Summertime, stalled at number thirty-six in Britain. It did reach thirty-six in Australia, and sixteen in the Republic Of Ireland. Apart from that, things had never been better for Simple Minds. Or so it seemed. Simple Minds had been having problems with drummers. On New Gold Dream (81–82–83–84), the problem was, they didn’t have one. So, they’d used two drummers for the recording of New Gold Dream (81–82–83–84). Mike Ogletree played on three tracks, while Mel Gaynor played on the other five tracks and Kenny Hyslop who played on Promised You A Miracle. However, it was Mike Ogletree that headed out on tour with Simple Minds, to tour New Gold Dream (81–82–83–84). Mike played on the first leg of the tour, and left in November 1982 to form Fiction Factory. That presented a problem for Simple Minds. The answer to their problem was Mel Gaynor. He had played on New Gold Dream (81–82–83–84). So, he knew many of the songs. Mel Gaynor was brought onboard, and became Simple Minds’ first non-Scottish member. However, Mel Gaynor’s drumming would prove a crucial part of Simple Minds future sound and success. During the summer of 1983, Simple Minds played a series of high profile concerts. Many were in large stadiums, in front of fifty thousand people. This was no place for shrinking violets. So, Simple Minds cranked up the volume and went for it. Little did anyone realise, that Simple Minds were now bona fide stadium rockers. One new song epitomised Simple Minds’ new sound… Waterfront. With its pulsating bass line, thunderous drums, and Jim’s strutting, preening vocal, Simple Minds literally swaggered their way through what was their latest anthem. This raised a few eyebrows. Were Simple Minds in the process of reinventing themselves? That proved to be the case, with Simple Minds becoming one of the most successful stadium rock bands of the eighties and nineties. They could do no wrong from 1984s Sparkle In The Rain through 1985s Once Upon A Time, 1989s Street Fighting Years and 1991s Real Life. During that period, Simple Minds enjoyed a glittering career, with everything they touched turning to gold and platinum. From the UK, Europe, North America and Australia, Simple Minds were one of the biggest selling bands. However, when Good News From The Next World was released in 1995, it “only” certified gold in the UK, Germany, France and Switzerland, the writing was on the wall for Simple Minds. Never again did they reach the same heights as they enjoyed between 1984 and 1995. For thirteen years, Simple Minds had been The Untouchables. However, that would never have been passible without the album that started this run of critically acclaimed and commercially successful albums, New Gold Dream (81–82–83–84). It was recently rereleased by Universal as a two disc Deluxe Edition. The Deluxe Edition of New Gold Dream (81–82–83–84) features the album on disc one, and twelve extended mixes on disc two. There’s an instrumental of Sending Out An Angel, a club mix of Promised You A Miracle and even a German 12” remix of New Gold Dream without the drums. That’s not forgetting US remix and a dub remix of Promised You A Miracle. In total, there are four versions of Promised You A Miracle, two versions of Glittering Prize and just the one version of New Gold Dream and Someone Somewhere In Summertime. For anyone who likes remixes, then disc two of New Gold Dream (81–82–83–84) will be a veritable smorgasbord. However, for most people, the main event is disc one, and the newly remastered version of New Gold Dream (81–82–83–84). After struggling for four albums, Simple Minds came of age musically on New Gold Dream (81–82–83–84). Now, Simple Minds were well on their way to superstardom. There was no stopping them as strutted and swaggered their ways through million selling albums of stadium rock. At last, Simple Minds were fulfilling their potential. For the next five albums, Simple Minds were one of the biggest and most successful British bands of the eighties and nineties. They enjoyed many a Glittering Prize, between the release of New Gold Dream (81–82–83–84) in 1982 and Good News From The Next World in 1995. However, two Simple Minds albums stand head and shoulders above the rest; Gold Dream (81–82–83–84) which transformed Simple Minds’ career; and Sparkle In The Rain, which completed the transformation of Simple Minds’ career to stadium rockers and fully fledged colossi of planet rock. SIMPLE MINDS-NEW GOLD DREAM (81-82=83-84) DELUXE EDITION.